Formal proceedings to divorce the UK from the EU have begun. Today’s an important one in the Brexit saga. With the submission of formal notification to begin Article 50 negotiations, the UK has crossed an important threshold that cannot be easily crossed, whatever the legalities. Brexit has once again taken Twitter by storm as British Prime Minister Theresa May signed a letter last night (28 March) launching the process for the United Kingdom’s exit from the EU. 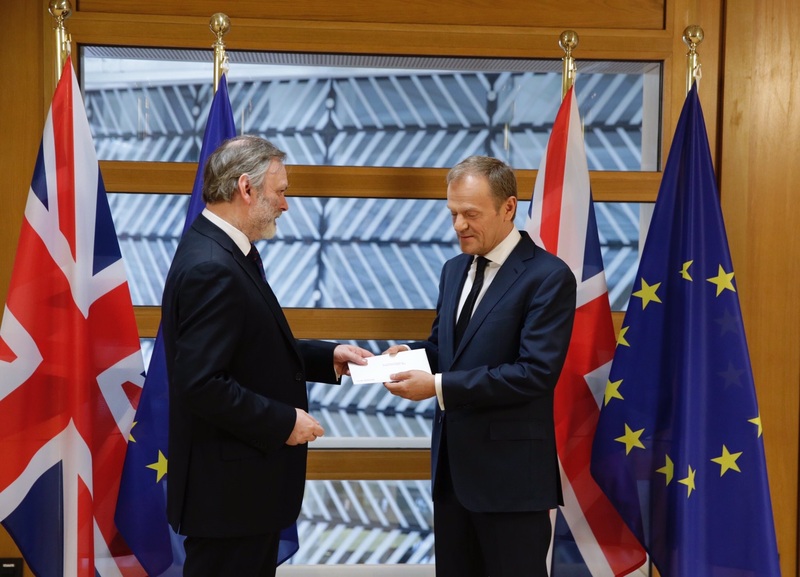 At 13.30pm Brussels time, the UK’s envoy delivered the Article 50 letter to European Council president Donald Tusk, triggering the exit procedure from the EU. “After nine months the UK has delivered,” Tusk tweeted Wednesday, referring to the UK’s referendum on EU membership last June. Tusk will shortly deliver a press statement on behalf of the 27 member states, hoping for the UK to remain a “close partner”. Norwegian minister criticises the Islamic Council of Norway, saying its move will ‘create distance’. British Prime Minster Theresa May has signed the letter invoking Article 50 of the Treaty of Lisbon. The letter will be delivered to EU Council President Donald Tusk today. Now the dangerous jump into the unknown has begun, some commentators affirm. Others see Brexit as a chance to restructure the EU’s international relations. Forget about hard, soft or a medium-cooked Brexit: We need to focus on a culturally-intelligent Brexit, writes Peter Alfandary. With the delivery of the Brexit letter in Brussels on Wednesday the two-year process at the end of which Britain will presumably leave the EU was triggered. British Prime Minister Theresa May spoke in the House of Commons of a “historic moment”. How will Britain and the EU fare in the negotiations? Meet the Norwegian women going through gruelling special forces training. A new generation of far-right activists have found a home in the Front National. A powerful association of German manufacturing industries, the VDMA, has called for “fair” discussions over Britain’s departure from the EU but warned there should be “no unilateral concessions” in favour of the UK, saying the EU single market was more important to them. Over the last twelve months the Greens have had quite a few celebrations across Europe: Winfried Kretschmann was re-elected as minister-president of Baden-Württemberg in March 2016; in December Alexander von der Bellen succeeded in stopping the rise of the Austrian populists in the presidential elections, and in the Dutch general elections, Jesse Klaver quadrupled the seats of his GroenLinks party in the parliament. The parliament in Edinburgh has approved First Minister Nicola Sturgeon’s plan for a new referendum on Scottish independence. According to the plan London should allow the people of Scotland to hold a new referendum before Brexit, meaning at the latest in March 2019. The press shows understanding for the Scots’ rekindled desire for independence. Simon Wren-Lewis has a thoughtful blog post about the great British public’s attitude to Brexit. 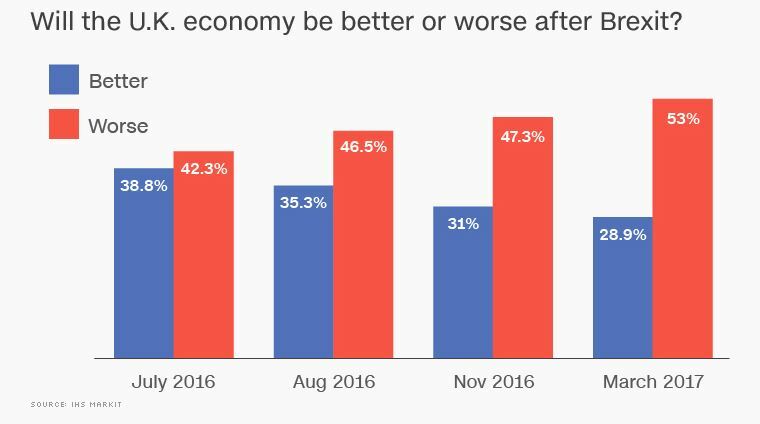 … which shows that people are increasingly convinced that Brexit will have a bad impact. On the other hand, there’s the evidence from the YouGov tracker poll, which suggests that, despite that deepening pessimism, people are not suffering ‘buyer’s remorse’ about the vote. It is agreed by 69 votes to 59 that Nicola Sturgeon should make a request to the UK government. “Whenever you get the new generation, you get new language, and whenever you get new language you get people saying it’s not news because ‘you’re not doing it the way I did,’” said Mika Rahkonen, head of development at Finland’s national public broadcaster Yle. German Chancellor Angela Merkel Monday (27 March) welcomed a surprise state poll triumph by her party as “encouraging” for a September general election, as hype around her main rival fizzled in its first test. With the EU’s survival on the line, the stakes are higher than in any election in the history of the Fifth Republic. So, does France’s nationalist, xenophobic right have a real chance of coming to power? The pro-Western, conservative Gerb party won Sunday’s early parliamentary elections in Bulgaria, taking the lead against the pro-Russian Socialists. With this outcome it is highly likely that Boyko Borisov will become prime minister for the third time. Commentators explain why the Bulgarians put their trust in Borisov despite all his shortcomings rather than in the Eurosceptic parties. Debate: Who can win the French people’s support? With just under four weeks to go before the presidential election in France the independent candidate Emmanuel Macron is ahead of Front National leader Marine Le Pen in almost all the polls. The traditional Socialist and conservative parties that have governed France since the start of the 5th Republic are lagging far behind. But the race is far from over yet, commentators stress.